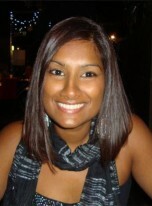 Umana is our highly respected well liked lead physiotherapist . She has had great success in her own right at The Welwyn and Hatfield Practice and has a busy clinic list with a loyal patient following. Umana has a special interest in Sports Injuries, Commercial Business Support, educating and treating occupation related problems and injuries, including Acute and Chronic Neck and Back Problems. She has also been specialising in Road Traffic Accident Rehabilitation, Sports Injuries, Complex Muscle, Joint Injuries and Nerve Trauma. She is also a successful enthusiastic health promoter with a speciality in weight management and osteoporosis prevention. She has recently been developing and promoting her own weight management and optimum wellness clinic. Umana’s told us that she has a keen interest in Sports Physiotherapy which meant that she was chosen as head Sports Physiotherapist for ‘ VB Sports ‘, a First Division Football club in the Maldives. Umana was in charge of treatment and rehabilitation of the first team football players. Her previous posts include Senior Programme coordinator at a large organisation in the Maldives, where she set up and managed a busy outpatient physiotherapy clinic. in addition to representing the organisation at conferences and workshops at national and international level. She has also gained experience from the government General Hospital in Maldives where she managed patient case loads from all sections of the hospital.